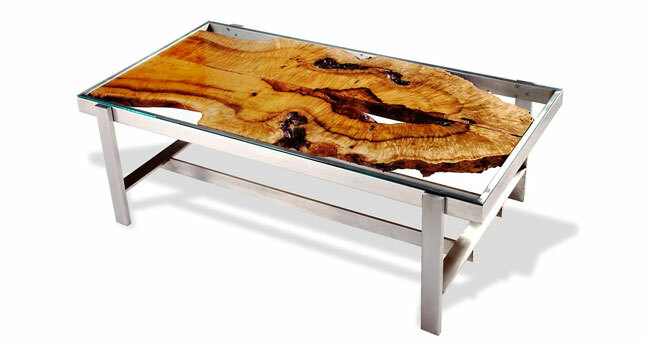 At Exotic Wood Furniture, we create beautiful, organic, custom furniture art using the finest natural-edge based wood slabs. 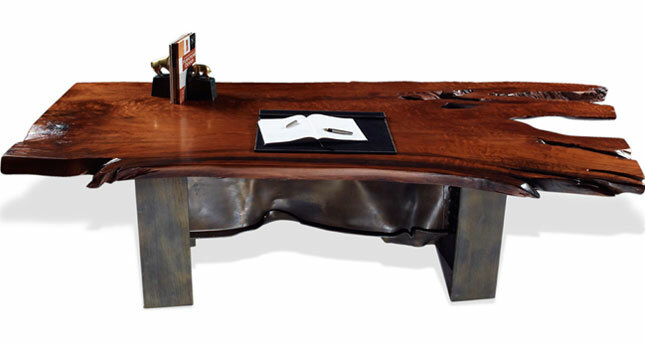 Combined with custom-made bases of metal, concrete, glass and wood, we craft unique and functional works of art including, desks, dining, conference, sofa and coffee tables. 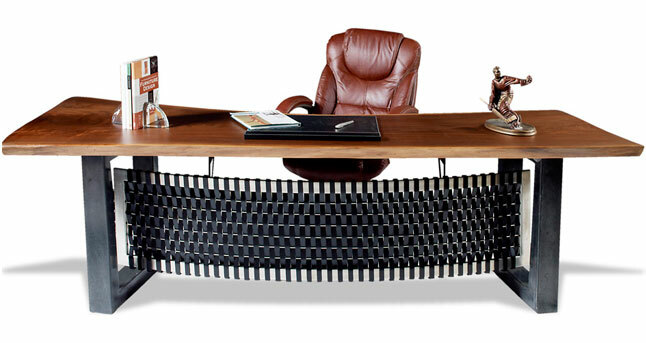 Functional, durable and versatile, our custom, hand crafted furniture could serve as a dining room table in your rustic lodge retreat in the mountains, a contemporary display table in the lobby of an upscale hotel or home in New York City, or an eye-catching modern executive desk at your trendy home in the Hamptons. 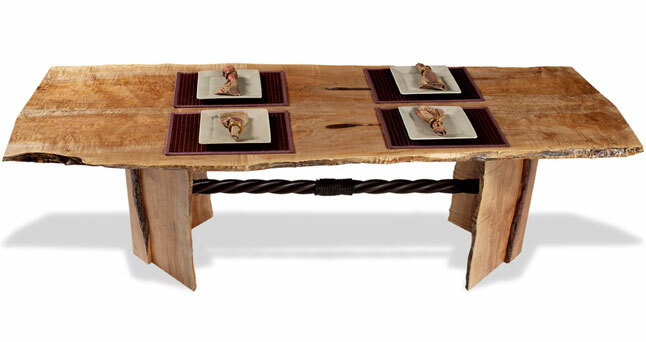 Our furniture art is literally one-of-a-kind — never mass-produced. Our passion leads us to search mills far and wide for each reclaimed natural-edge organic slab, guaranteeing that every piece is uniquely shaped to meet and exceed any interior design challenge you may have. 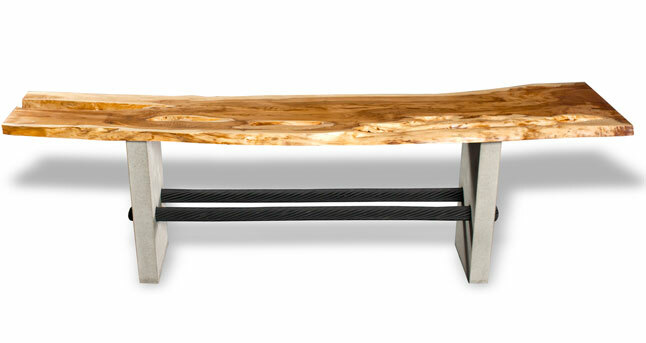 Our custom, exotic live edge pieces will transform any space and serve as a great conversation starter for any home or professional setting.